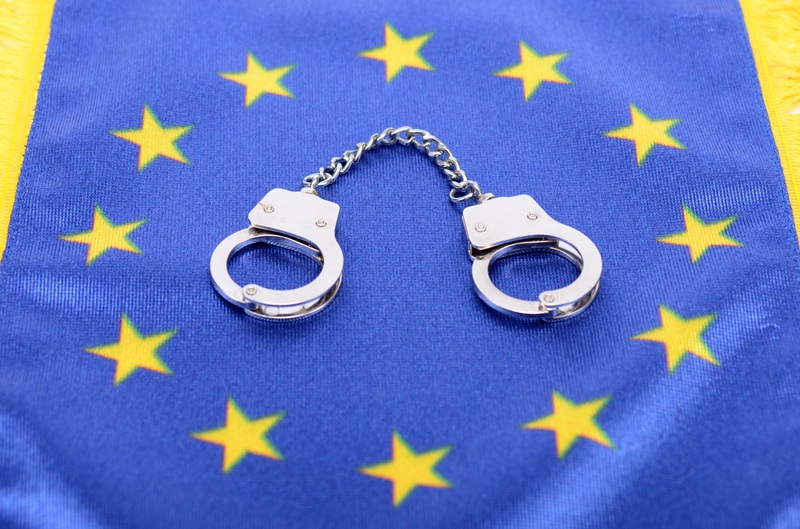 The European Arrest Warrant (‘EAW’) has been a powerful tool for prosecuting authorities since it came into force across EU member states on 1 January 2004. But, with Brexit looming, what is the future for the EAW in the UK? The EAW was envisaged as a streamlined, accelerated arrest warrant system, founded upon mutual recognition of all EU member states. Unlike other forms of extradition, EAWs are not issued through the usual diplomatic channels, but are a discrete framework of understanding between EU jurisdictions, so that once a subject of an EAW is found in any participating state, that state is bound by the framework to execute the warrant. To further streamline this process, the EAW framework removes, for a very broad range of criminal offences, a common feature of international extradition law: the principle of ‘double criminality’. This is a legal concept by which a state may refuse to extradite a fugitive if the alleged criminal conduct would not have been an offence in the state being asked to affect the extradition. Another feature that distinguishes EAWs from usual extradition processes is that it is not possible for a state within the framework to refuse to surrender its own nationals on the grounds of nationality alone. There is also no exception for political or military criminal offences. With the EAW cutting through established principles of extradition, it is not surprising that the process under the framework is expeditious. Indeed, when a person is arrested under an EAW, the judicial authority in the state where that subject was arrested must provide a decision to surrender the subject within a strict time limit (within 10 days if the subject of the order consents to be surrendered to the issuing state or 60 days if they do not consent). It is perhaps a testament to the efficacy of the EAW that the British government has expressed its desire for the UK’s continued involvement within the co-operative framework after the UK has left the EU. With the turmoil that Brexit has caused to the country, it is very difficult for lawmakers to predict what will happen to the EAW framework. This is particularly so as, at the time of writing, there is no clear path forward as to the shape of the UK’s new relationship with the EU, let alone as to what the legal landscape will come to look like after such a seismic shift in its structure. Remain – if the UK decides to remain within the EU, the EAW will continue as before. A common market or ‘soft’ Brexit – a principal hurdle to the EAW continuing in a common market is that the CJEU’s judicial oversight of the framework requires it to have direct jurisdiction. The UK government has been clear that its intention is to remove direct legal jurisdiction of the CJEU in the UK and it is difficult to see how this dichotomy can be reconciled. It may be that an agreement can be reached where the UK is a participant in the framework but is not legally bound by the CJEU’s decisions on EAWs. It is difficult, however, to see how this would be acceptable to the EU, or its court and it is hard to envisage how this connection to the CJEU would be acceptable to a UK that wishes to end this relationship. Perhaps the answer lies with Norway and Iceland, both of whom have special surrender arrangements with the EU that share many of the benefits of the EAW but retain features of extradition law, such as the right to refuse the surrender of their own nationals. A hybrid for the UK along these lines looks to be the most likely outcome. A ‘hard’ Brexit – it is extremely difficult to see EAWs continuing to exist if the UK leaves the EU completely. In this scenario, the fall-back position of the treaties and arrangements already extant in international extradition law will apply. It seems highly likely, therefore, that the EAW as we know it will not exist in its current form for too much longer and we continue to spectate with bated breath as to the framework’s future. Andrew Gilmore is Grosvenor Law’s Head of Criminal, specialising in money laundering, fraud, asset recovery and all aspects of criminal law.